The sleek, speedy cheetah is rapidly heading towards extinction according to a new study into declining numbers. 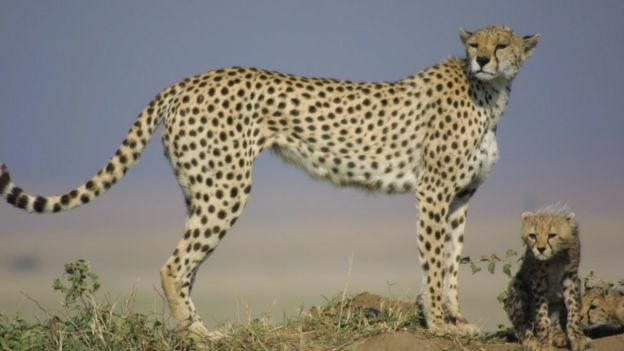 The report estimates that there are just 7,100 of the world’s fastest mammals now left in the wild. Cheetahs are in trouble because they range far beyond protected areas and are coming increasingly into conflict with humans. The authors are calling for an urgent re-categorisation of the species from vulnerable to endangered. According to the study, more than half the world’s surviving cheetahs live in one population that ranges across six countries in southern Africa. Cheetahs in Asia have been essentially wiped out. A group estimated to number less than 50 individuals clings on in Iran. Because the cheetah is one of the widest-ranging carnivores, it roams across lands far outside protected areas. Some 77% of their habitat falls outside these parks and reserves. As a result, the animal struggles because these lands are increasingly being developed by farmers and the cheetah’s prey is declining because of bushmeat hunting. In Zimbabwe, the cheetah population has fallen from around 1,200 to just 170 animals in 16 years, with the main cause being major changes in land tenure. Researchers involved with the study say that the threats facing the fabled predator have gone unnoticed for far too long. “Given the secretive nature of this elusive cat, it has been difficult to gather hard information on the species, leading to its plight being overlooked,” said Dr Sarah Durant, from the Zoological Society of London, UK, and the report’s lead author. 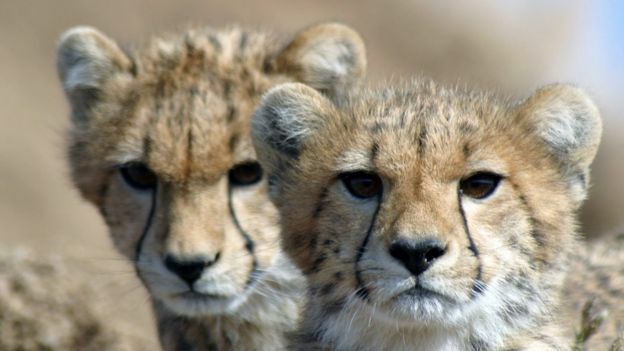 Another of the big concerns about cheetahs has been the illegal trafficking of cubs, fuelled by demand from the Gulf states, as reported by the BBC earlier this year. The young cats can fetch up to $10,000 on the black market. According to the Cheetah Conservation Fund, some 1,200 cheetah cubs are known to have been trafficked out of Africa over the past 10 years but around 85% of them died during the journey. At the recent CITES conference in South Africa, governments agreed to put new measures in place to tackle this issue, clamping down on the use of social media to advertise cheetahs for sale. However if the species is to survive long term then urgent efforts must be made to tackle the wider question of protected areas and ranges. The new study argues for a “paradigm shift in conservation”, moving away from the idea of just declaring an area to be protected and towards incorporating “incentive-based approaches”. This, in essence, means paying local communities to protect a species that many see as a dangerous predator. “The take-away from this pinnacle study is that securing protected areas alone is not enough,” said Dr Kim Young-Overton from Panthera, another author on the report. To fully recognise the scale of the threat that the cheetah now faces, the report is calling on the International Union for the Conservation of Nature (IUCN) to change the categorisation of the fastest animal on its Red List from vulnerable to endangered. This would help focus international conservation support on a species that the authors fear is heading for extinction at an increasing pace. The report has been published in the journal Proceedings of the National Academy of Sciences.